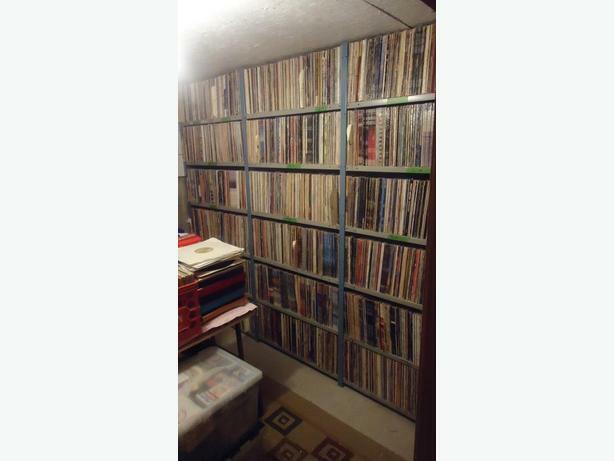 After collecting vinyl records for over 30 years I have finally decided to put my entire collection for sale. The collection is composed of all musical styles that includes rock and roll, blues, progressive rock, heavy metal, soft rock, classical, opera, country, Quebecois, disco, International, big band, Latin, Caribbean music, comedy records, film soundtracks ect, ect, ect. The vinyl's in this collection are for sale individually or can be sold as a lot, please ask for the list of vinyl's to see what and how many are included . The price's listed for the vinyl's in this collection are not negotiable however when multiple copies are available, you can choose the best copy available. So if you are looking to expand your vinyl collection from a vast selection of rare and hard to find selections this could be the collection for you. If you are interested and would like to review my list of vinyl's, then please just ask for me to send you a copy of my list. If you purchase vinyl's from me you will not have to run all over town to find the selections you want, you can simply select the vinyl's you want from my list and I can put them aside for you.